Sony’s scheduled maintenance period has over-run well above the 12 hours originally estimated. The maintenance was originally scheduled to be completed by 4am on January 18th 2013 but was later pushed to 10pm – well over double the estimated time. It has since been extended again. 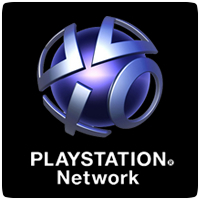 Sony now states that “service is expected to resume at around 10.00am GMT” tomorrow morning, making the downtime last a massive 42 hours. Sony hasn’t revealed why it was extended twice, but lets hope it’s something good.